Alfalfa has generally over-wintered very well, but there are scattered reports from across the province of some winterkill and winter injury. The normally higher risk area of the Ottawa Valley seems to have minimal (less than 10%) winterkill issues. Winter injury is observed more commonly in older stands, fall harvested stands, and stands with poor drainage or low fertility and pH issues. Many fields harvested last fall are showing delayed green-up and growth this spring. 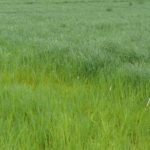 Cool spring weather delayed forage crop growth and development, but this is changing quickly with warmer weather. 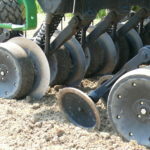 New seedings were initially delayed slightly , but many acres went in late-April and continue to be seeded in early-May under excellent soil conditions. Acres of new forage seedings appear to be up. Spring carryover forage inventories are good to adequate in most areas. Demand and prices are very strong for premium hay – properly stored square bales, green, with no dust or mould. With the continued reduced wheat acreage, straw prices are at record highs, with western Canada sourced straw coming in putting a ceiling on price. Considerable acres of corn stover have been baled this spring. There is nothing worse than having cattle to feed and then being caught off guard by low forage yields! To ensure adequate forage to feed livestock this coming year, walk alfalfa stands, dig some plants and use a knife to cut open the root and crown to assess for plant health. Make decisions based on yield potential on a field-by-field basis. Watch for crown and root rots, brownish disclouration, spongy texture, a lack of secondary roots and nodulation, and assymetrical crowns. Plant health can be more significant than plant density to a successful yield. Assessment should not wait until after the corn is planted, since dealing with winterkilled forage stands may alter the crop rotation significantly. The minimum number of healthy plants per square foot should be 12 – 20 for 1st year stand, 8 – 12 plants for 2nd year stands and 5 plants for a 3rd year or older stand. As a general rule, at least 55 stems per square foot provide a maximum yield. The critical level of 40 stems per square foot or less will result in a 25% yield reduction and should be rotated. Refer to “Check Alfalfa Stands This Spring and Make A Plan” http://fieldcropnews.com/?p=5845. 10 – 15% corn yield increase following alfalfa rather than corn after corn. The nitrogen credit is currently worth about $60. Even with $4 corn, the increased corn yield is close to $100. Adding these two corn crop benefits together, $160 goes a long way in paying the cost of forage establishment somewhere else in the rotation. Forage stand rotation decisions should be based on forage yield potential, not on the cost of re-establishment. If in doubt, rotate. Do not try to repair a stand by interseeding alfalfa into an alfalfa stand because of autotoxicity and disease, unless the stand was seeded the preceding year. Where winterkilled areas are large and patchy, some farmers attempt to repair these areas by no-tilling in red clover and/or Italian ryegrass. These species are difficult to dry for hay, but can make quality haylage. 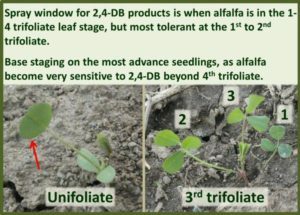 control weeds early – target 2,4D-B at the 1st – 2nd trifoliate stage. 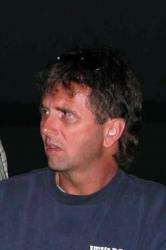 “5 Forage Establishment Mistakes To Avoid” http://fieldcropnews.com/?p=9574.